One of the key members of the Tquip team is Bill Kilmurray, who joined us in 2008. After a career in golf course management that includes 33 years at the prestigious Nedlands Golf Club, it’s fair to say Billy, as he’s known, has forgotten more about playing turf care than most of us will ever know. I caught up with him to talk about professional turf care, and to ask him to share some of his insights with our readers. TFP – Billy, what would you say are the most frequent causes of damage or deterioration in turf? Billy – Over- use, I think. There’s only so much service you can get out of a piece of turf, no matter how well you tend it. Next to that, I’d say Inadequate and infrequent renovation practices. TFP – how do you address these? Billy – Good mowing practices. It’s vital to use clean sharp and well maintained machinery – some of the machines we see coming in for overdue maintenance must have been driving their operators mad for months – when all it took was a professional once-over to have it working efficiently. Managers should plan twice yearly renovation of the turf. That means coring, top dressing and soil wetting, along with a balanced nutrient and chemical application program. TFP – In your career, you’ve presumably seen a lot of turf and a lot of turf management regimes. What are the three most common turf care mistakes you’ve seen? Well, we’ve covered over-use and under-maintenance. But generally these stem from a failure to appreciate the cost of the resources needed to create and preserve a world class playing surface, and budget accordingly. There’s a saying among golf course keepers that “it’s nice to have a nice club house, but no one putts in the bar”. Volunteer committees can tend to favour the preferences of a select group of influential members, who may want ridiculously short cutting heights, or to skimp on maintenance. Keepers have to learn to stand up to the committee, and insist on practices that will safeguard the long-term health of the turf. This means having the knowledge to back up and explain the consequences of poor management. Another thing that a lot of people slip up on is record-keeping. It’s vital to be able to look back and see what you did, and when. TFP – Presumably there are some turf conditions it’s impossible to repair? How do you know when it’s time to re-turf? Contrary to popular belief, grass grows by itself. We can either help it or hinder it, but eventually, if you’ve applied all the correct procedures and the grass is responding, then, given time, the grass will grow back. However if the grass is not regenerating, or if play commitments mean you don’t have time, it may be necessary to replace sections of badly affected turf. You can do this with fresh sod, but often it’s possible to transplant a section of healthy turf from an inconspicuous region of the course. The damaged turf can be laid in its place, to continue its recovery. TFP – Billy, thanks for your time. 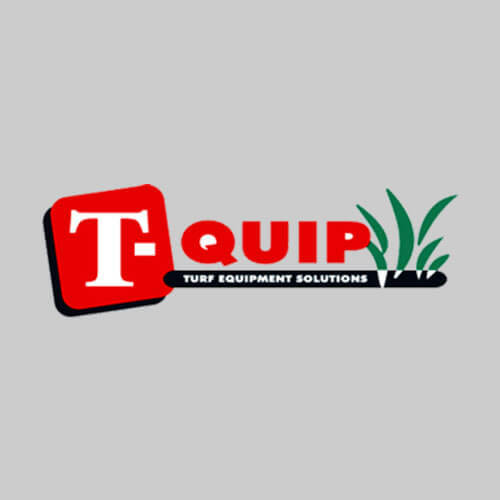 For more on caring for turf, and to ensure that your turf care machinery is in peak condition, contact Tquip here.